Alabama’s laws on drunk driving are tough. Even one conviction may cause you to lose your driving privileges, face stiff fines and penalties and permanently mark your driving record. Repeat DUI/DWI consequences are even more harsh. There are so many terms and laws to understand that it can seem overwhelming when trying to figure it out. The penalties for driving under the influence in Alabama will depend upon the exact circumstances of each particular case and the number of previous offenses a person has. Multiple DUIs can affect every aspect of your life, your relationships and your livelihood or job. If you’ve been charged with DUI in Alabama, the law allows only 10 days for a Alabama DUI Lawyer to make a request with the Alabama Department of Public Safety, Driver License Division for a hearing to help save your drivers license. 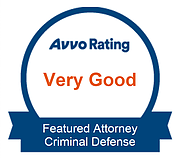 You have options, but you need an experience local lawyer to fight for you. In Alabama, repeat DUI fines can range from $1,100 to $10,100 and jail time can be up to a year in a county or municipal jail. You could be facing a misdemeanor charge or a class C felony. That’s why it’s so important that you speak with a local Birmingham DUI defense attorney that has extensive experience dealing with repeat DUI offenses. Attorney Matthew T. Jackson offers a free consultation, no obligation and is available 24/7 to discuss your options at no cost to you. Don’t Wait – Contact us Today for Your Free Consultation! Alabama judges are serious when it comes to prosecuting defendants charged with driving under the influence, but there are defenses that a knowledgeable, experienced criminal law attorney can bring forth on your behalf. Whether you’ve been charged with your 2nd DUI or your 5th, you should immediately contact criminal defense attorney Matthew T. Jackson for a free consultation about your charge. When your freedom is at stake, you need sound legal advice. Don’t wait – contact us online or call now 205-358-8623 – available 24/7 for a free consultation.